Liberia. PIH is treating Wesseh and her young sister (not pictured) for TB. A single book tells the story of tuberculosis in Liberia. The ragged hardcover sits on a shelf in a Ministry of Health office in the capital of Monrovia. In it, hand-drawn charts list patient names, ages, vital signs, contact information, treatment dates. To those fluent in epidemiology, The National Leprosy and TB Control Program Ledger reads like a horror story. An estimated 22,000 people in Liberia are sick with TB. (Similarly sized Costa Rica has 650 cases.) And only five percent are currently on treatment. Even worse, as featured prominently in the Ledger, 25 of the untreated patients are known to have a nasty, rare, and contagious strain of the respiratory infection known as multidrug-resistant tuberculosis, or MDR-TB. At the urging of their national counterparts, Oswald and Dr. Maxo Luma, also a PIH director in Liberia, set out to do something about it. At 6 a.m. on a Wednesday not long ago, they climbed into a truck, buckled up, and steered for downtown Monrovia, determined to find and treat as many of those 25 MDR-TB patients as possible. The root cause of the TB disaster was straightforward: Poverty had made the health care system dangerously brittle. Able to spend less than $50 on each citizen’s health care annually, Liberia simply couldn’t stand up to the Ebola epidemic that hit in the summer of 2014. Hospitals had to devote virtually all of their meager resources to combatting the hemorrhagic fever. Equipment broke and was never repaired. Drugs weren’t ordered. Ebola killed some 10 percent of all local doctors and nurses. “Liberia’s TB program completely fell apart because of the Ebola epidemic,” says PIH TB expert Michael Rich. The collateral damage was enormous. Clinics such as Monrovia’s TB Annex, where a single doctor cared for the nation’s MDR-TB patients, fell into disrepair. Many patients simply gave up on treatment. 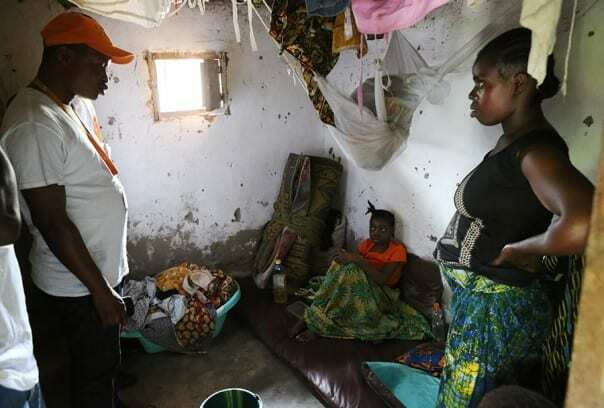 When PIH staff found 14-year-old Salomé Wesseh, for example, she was wasting away on the floor of her house, her left lung almost completely gone, her cough having accidentally infected her sister, who is 3. The alternative, trying to find treatment, was no better. Legal TB drugs were in short supply during the year-long Ebola epidemic. Those who bought rifampin and other TB medications at black-market pharmacies could rarely get their hands on more than a dozen tablets. Instead of treating their TB, they ended up increasing their resistance to medication, transforming their TB into MDR-TB, a strain whose treatment is long (up to two years), complicated (requiring daily injections of toxic drugs), and expensive (around $5,000). After winding down its response to the Ebola emergency in June, PIH promptly committed to offering technical and material support to the government’s strategic plan for TB. PIH is currently helping launch an electronic medical record system (which will replace the Ledger), updating treatment guidelines, bolstering care in rural counties in the southeast, and more. So Luma and Oswald did what they’d both done while working with PIH in rural Haiti: They went to find patients one by one. That first day, they drove around the city—population 1 million—for 13 hours. Big tropical clouds gathered, dumped rain, and broke apart as quickly as they had formed. In lieu of a clue, Oswald and Luma had Varny Kamara, an expert PIH driver, and Nanejae Nagbe, an unflappable physician’s assistant from the Ministry of Health National Leprosy and TB Control Program. Kamara needed no GPS to find any road in the city. Nagbe chatted up everyone from passing motorcyclists to grandfathers, careful not to say anything that would betray patient confidentiality. “We’re from the clinic and we’re looking for so and so. Do you know this person?” he’d ask. The best lead often proved to be the name of the original referring clinic, which was sometimes recorded in the Ledger and suggested the neighborhood where the patient might have lived a year or two earlier. Once in Congo Town or Bushrod Island, West Point or ELWA, they could talk with people who might know the patient’s whereabouts. People usually didn’t. But they knew a community leader. Or a phone number. Or some other tip. Or they’d jump in the truck and offer directions to someone who might. “It felt like we were part of a Where’s Waldo book,” says Oswald. After three long days, they had found and begun treating three patients. John Coleman, a high school student, was typical. Getting him back on treatment also protected 17 relatives who shared his three-bedroom home. “Finding three patients in three days was truly a success,” says Luma. Since then, six other patients have been located and returned to treatment, but the search for the rest of the 25 has been put on hold, while the TB Annex undergoes the repairs needed to offer dignified care. PIH and Ministry of Health staff will resume the search early in the new year.